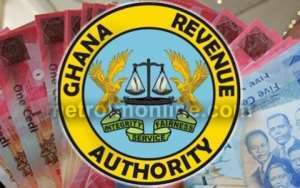 The Customs Division of the Ghana Revenue Authority (GRA) has backed government's decision to review the country’s import duty regime. President Akufo-Addo's announcement followed complaints and petitions to him from importers and other stakeholders about the high import duties which according to them was making the country’s ports uncompetitive. Dr Godfried Okoh-Appiah, Sector Commander in charge of Tema Custom Division, said the review would help increase the cargo volumes and result in high revenue collection. Dr Okoh-Appiah, who was speaking to executive members of the Ghana Journalists Association, Tema Chapter, said it would also curb smuggling as people turn to smuggle goods into the country to avoid the payment of high import duties. “The assumption is that people are not able to bring in goods because of high duties, if the duties are made a bit reasonable for them, there will be no smuggling”. According to him, there were some goods on the market which did not pass through the port, an evidence of smuggling due to high import duties, adding that even though smuggling was a risky adventure as perpetrators when caught, paid 300 per cent of the duties as penalty, still engaged in it to avoid paying high duties. He observed that his outfit was 13 per cent below target in 2018 as according to him, the flow of cargo was low as the number of declarations fell by nine per cent. The Sector Commander further revealed that in January 2019, they exceeded their target by 3.6 per cent, a feat that has not been achieved since 2006, adding however that they fell short of their target for February. Dr Okoh-Appiah revealed that from this month, Customs would be reducing the number of cargos to be examined physically from 75 per cent to 30 per cent to facilitate faster clearance. He added that 30 per cent of cargoes would also go through non-intrusive examination while the remaining 40 per cent which would be considered as clean would not undergo any verification or scanning. He explained that robust risk management would be used to determine cargoes that would be examined physically, non-intrusive or not scanned at all. The Sector Commander also stated that his outfit was preparing to move to the MPS terminal three which had been scheduled to start operations in June where all container clearance would take place. He said with that, Customs officers would not be scattered all over the other ports adding that officers were being trained as Scan Image Analysts to work on the containers at the terminal three. Mr Dominic Hlordzi, Chairman of GJA -Tema Chapter, called for a strong relationship between the GRA and media practitioners in the area.